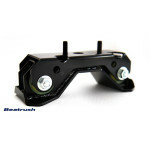 The Beatrush Pitching Control Rod constructed from forged aluminium improves engine response and throttle feedback. Significantly improved traction during front/back movements. 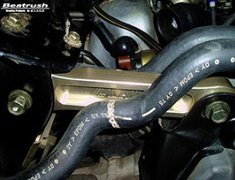 Improves throttle control with improved driver feedback. High quality forged 7075 aluminium construction finished in a gold anodize. Rigid urethane bushes with harness rating of 90. Lightweight forged aluminium quality construction developed on the track by Beatrush in Japan. 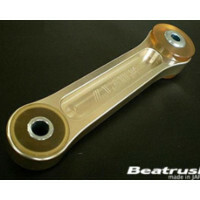 Weighs just 360grams, almost half the weight of the standard part. Please note, some additional cabin noise will be noticeable.